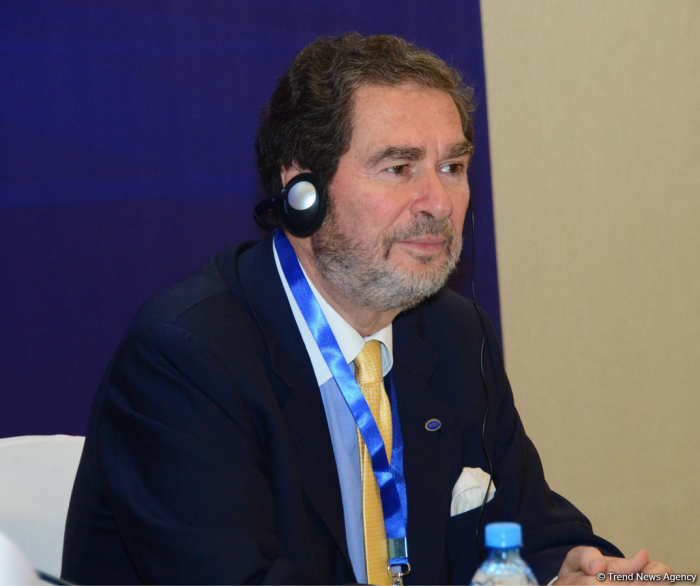 The Organization of the Black Sea Economic Cooperation (BSEC) is an organization the main task of which is to promote economic development among the participating countries, said BSEC Secretary General Michael Christides, Trend reports. He made the remarks at a press conference following the 39th meeting of the Council of Foreign Ministers of the Organization of the BSEC member states in Baku Dec. 14. It is important for the organization to meet modern challenges, he said. He noted that the organization has a wide range of areas of cooperation, adding that the organization has more than 20 working groups involved in trade, transport, healthcare, etc. He thanked Azerbaijan for its chairmanship, noting that during these six months the sides discussed prospects and plans for the future for further development and cooperation, and made a number of important decisions. The 39th meeting of the Council of Foreign Ministers of the Organization of the Black Sea Economic Cooperation member-states was held in Baku under the chairmanship of Azerbaijan. The main priorities of Azerbaijan’s chairmanship are to render efficient, reliable and safe transport and transit services as part of BSEC, increase the export potential of agriculture and further develop the tourism sector.